POF 01392: The Revolution is POF's 308 that handles like a 5.56 - because it is the same size and weight as one by using a 5.56 bolt carrier and other 5.56 parts allowing for a shorter overall receiver size and reduced weight. 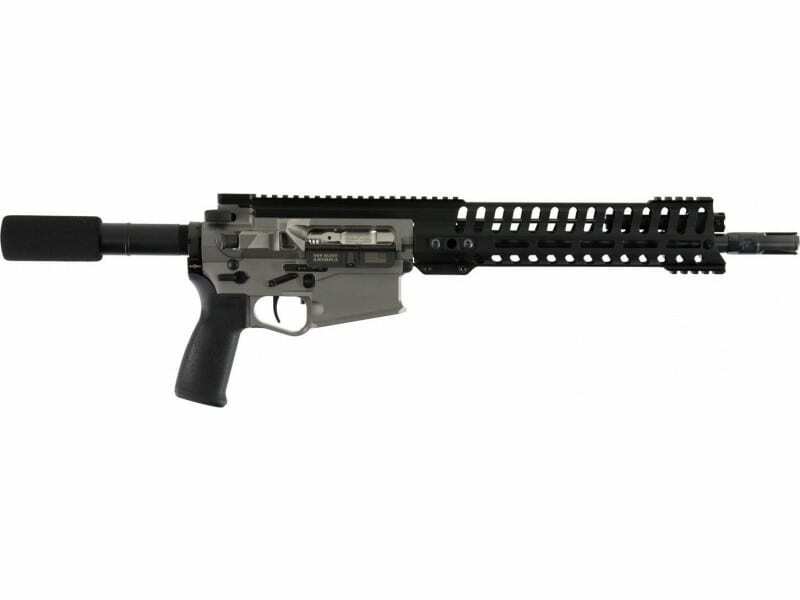 The Revolution features many 5.56 parts; such as charging handle, bolt carrier, cam pin, buffer, heat sink barrel nut, handguard, and 5-position gas piston operating system. The barrel extension, bolt assembly, upper, and lower receiver are the exact same size as those on an AR15. 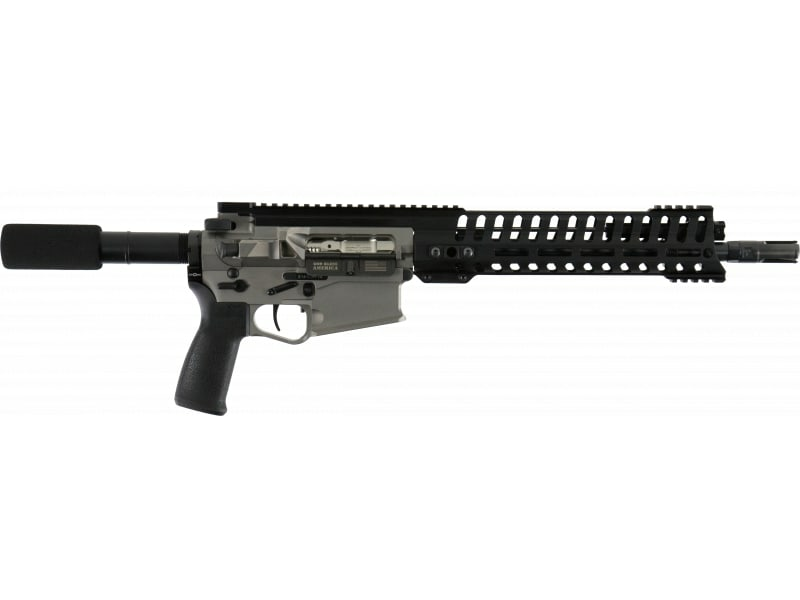 This AR Pistol model features a 12.5" fluted barrel, a NP3 nickel lower receiver metal finish, 11.5" M-Rail, and a buffer tube stock.